When you open the doors to the nook, here’s what you see! It’s so small that I was able to capture pretty much the whole space while standing directly in front of it. But since I’m a blogger, I’m also going to show you 900 more pictures. One of the key things I wanted to do was add some more storage space for things we don’t use every day. Here’s what the shelving holds now. Top shelf: You need a stool to reach this one, so it holds our extra set of sheets, extra TP, two extra pillow forms that we use for guests (we don’t have a second bed), and a heating pad. 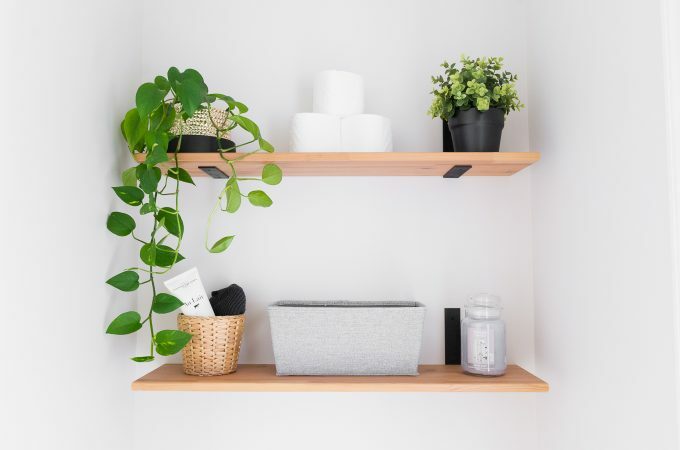 Middle shelf: Wash cloths, rags, and towels not currently in use in the bathroom, TP for easy grabbing. 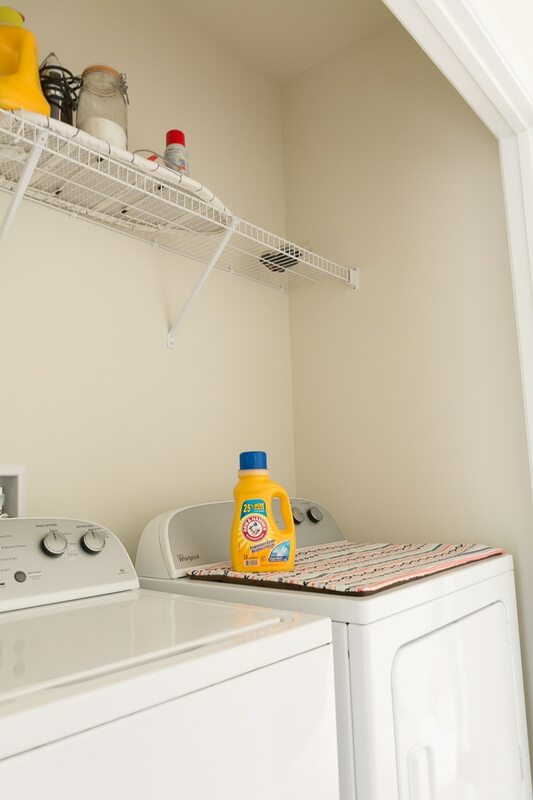 Bottom shelf: Laundry supplies…yellow bottle is re-used and filled with DIY powder. And two pictures of animals, because why not? 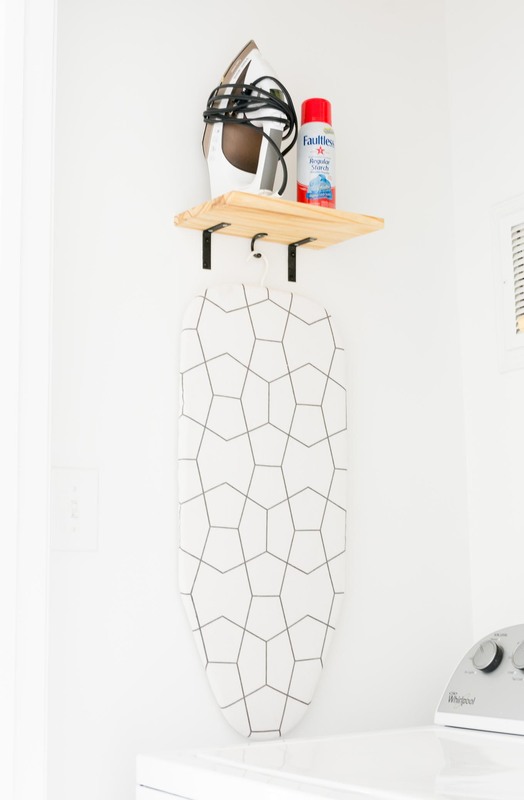 The DIY ironing supplies shelf keeps our iron, little ironing board, and spray starch out of the way unless we’re using them. 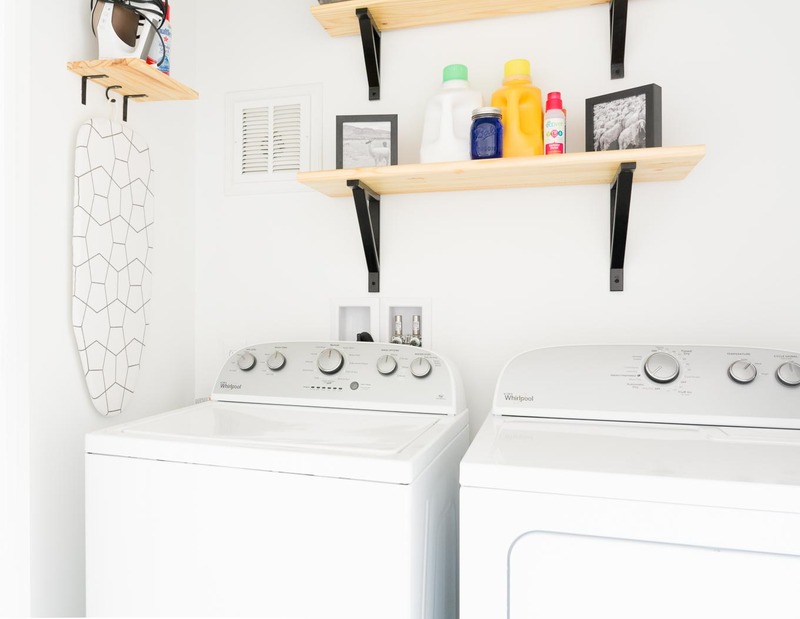 There is a plug in the nook, and the ironing board is small enough that it can be set up on top of the washer and dryer for temporary use. Another view from the floor of the tippy top storage. You don’t really see the top shelf when you’re standing like a normal person looking into the closet, which was my goal. I used two different kinds of Ikea Ekby brackets: the large and small sizes. 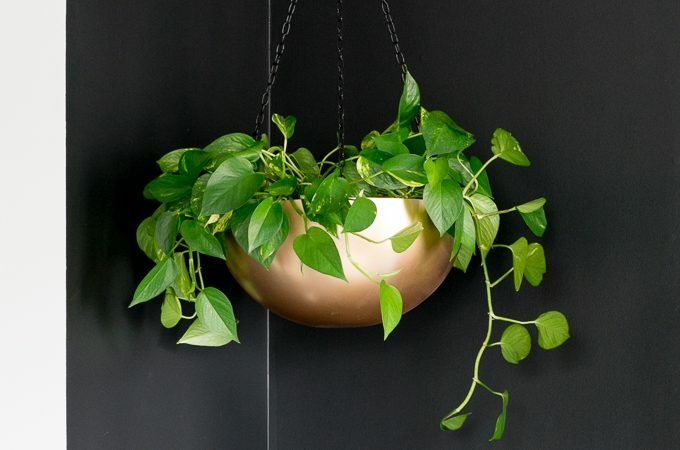 I love them and have them in our downstairs powder room as well. 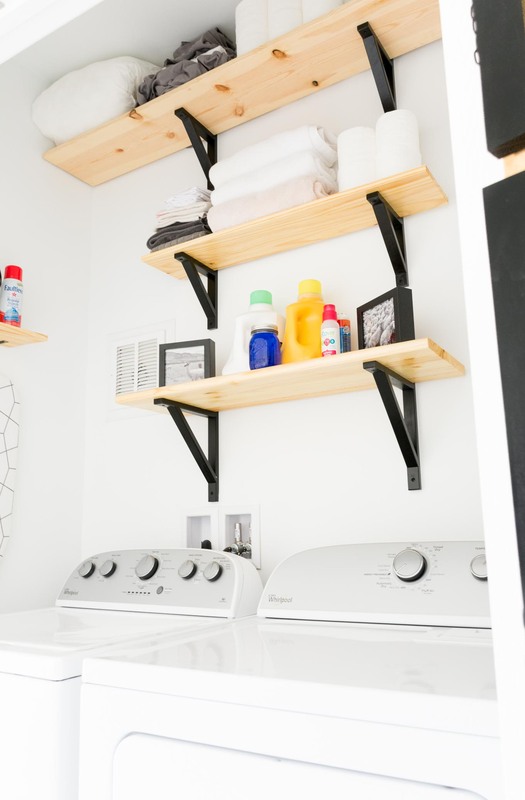 The right side of the nook has two hooks for whatever: storage, towels, or hanging drying clothes. 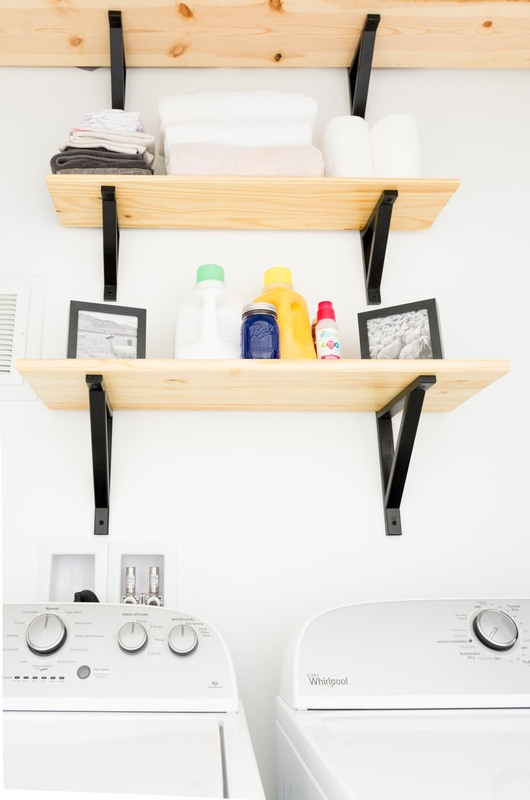 Speaking of, you can see the DIY drying rack as well. It’s mounted to the back of the right door and can be pulled down for use. And when it’s not in use? We simply shut the doors to reclaim the hallway space. 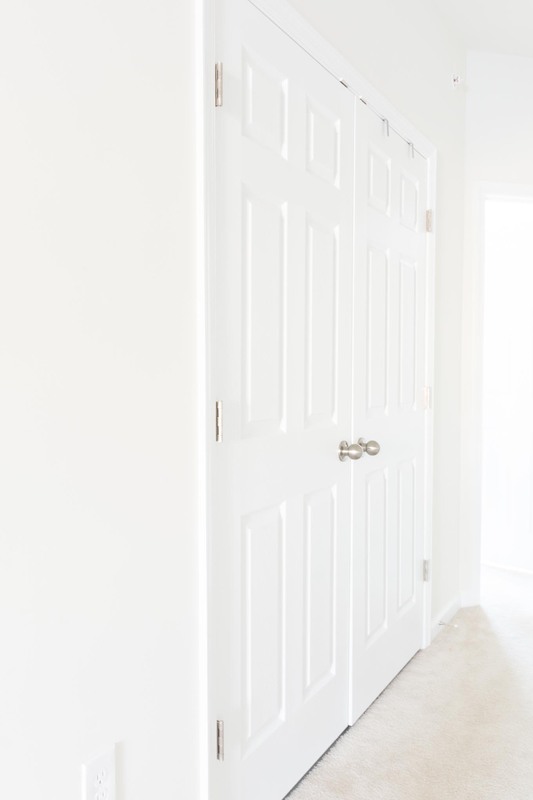 Entryway Update #3: It’s Finished! it looks so good, brittany! love the black, white, wood combo! Thanks Cassie! Black and white are my jam. Throw in a little wood for good measure. Oh I love it! So fresh and clean! 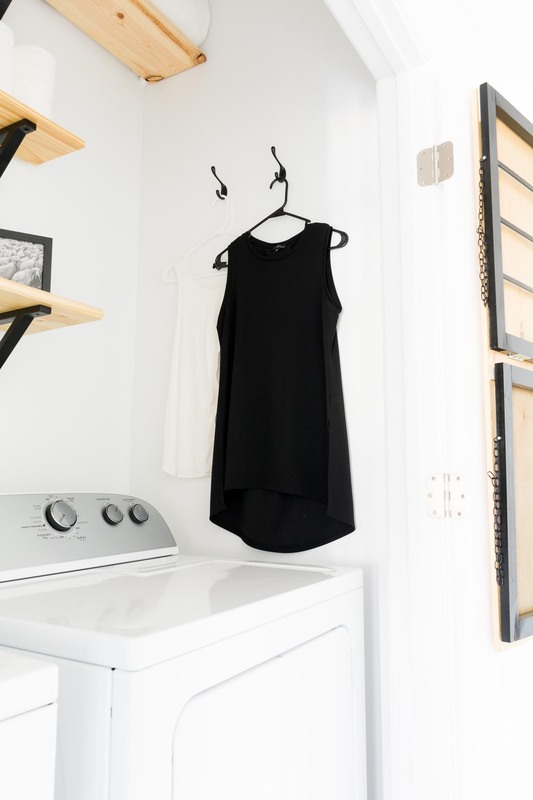 Giving me major inspo for my terrible laundry area *shudders*. Great job Brittany! Thanks Allison! I was worried the white would be too stark, but it was free 🙂 and I am happy with how it turned out! So organized and tidy, Brittany! I love the shelves and the the drying rack! Inspiring. Let’s hope it stays so organized and tidy 😉 Thank you!! Love it Brittany! You did a great job! 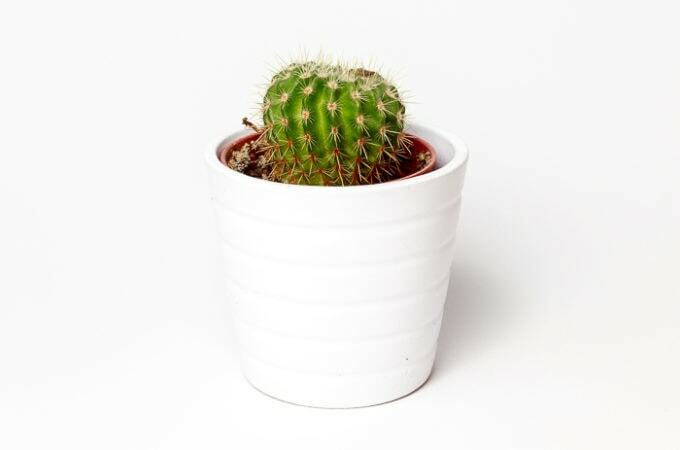 All the items you created look great, yet are so functional. Nicely done! What a bright room this laundry is right now. Congrats! The ironing board cover wins! Love the black accents. I know, I love my little ironing board even though I hate to iron. I’ve had it for years, too! 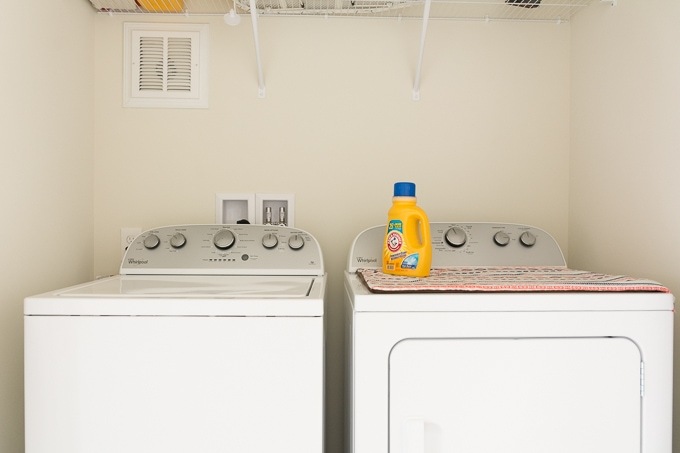 Your laundry room looks so bright now! 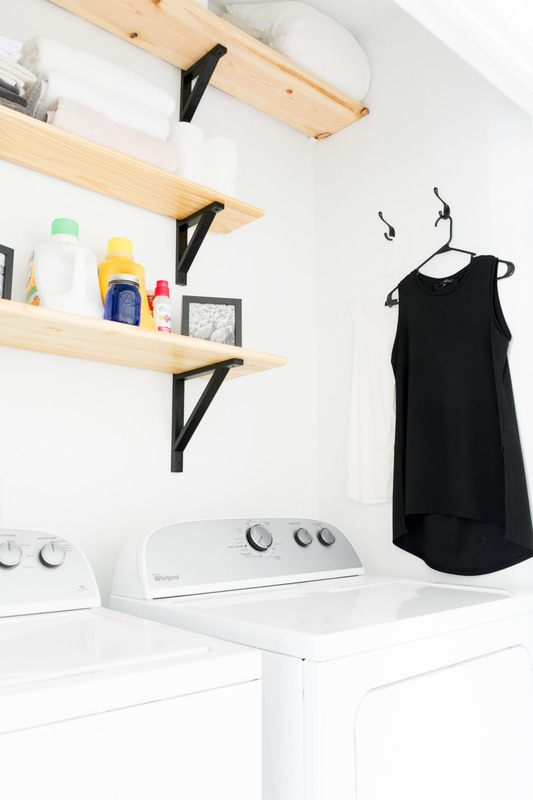 I love the black accents and the pull down drying rack is so clever. I may have to copy that. 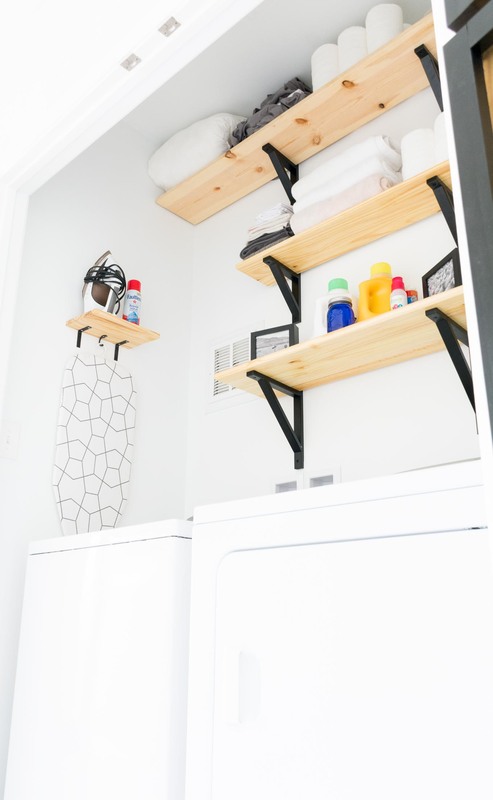 Your little laundry nook looks fabulous! You made it so much better! I love that clothes hanger on the door, super nifty! 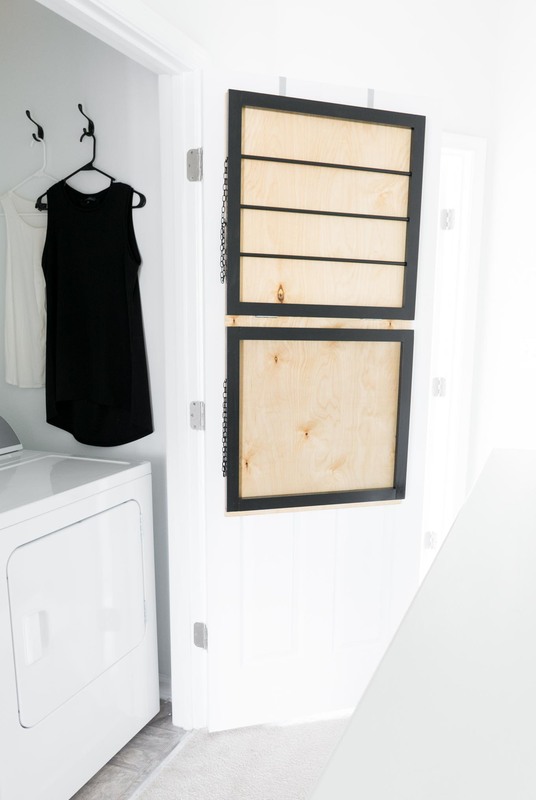 I have a laundry closet the same size, and may tackle it next! Just perfect. I love the open shelving paired with all the black and white. 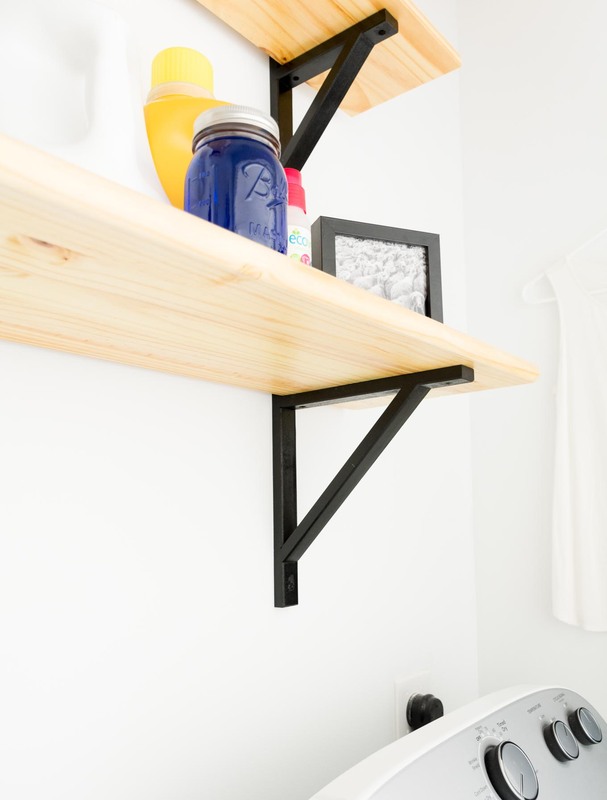 The wood shelves contrast so nicely and the whole nook looks fabulous. Pinning for sure. this space is so light bright & modern now. love it!! great work! 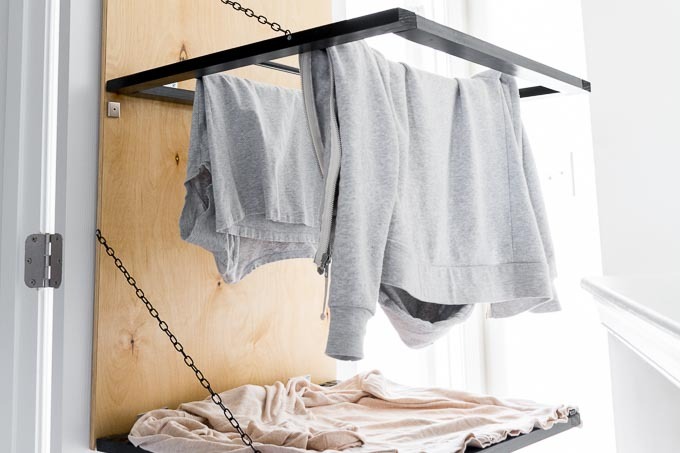 love the sweater drying station! It turned out fantastic! Love how light and light it is! Wonderful makeover! I’m so impressed! I can’t believe you did this all in a closet! I LOVE the drying rack too. Nice work. 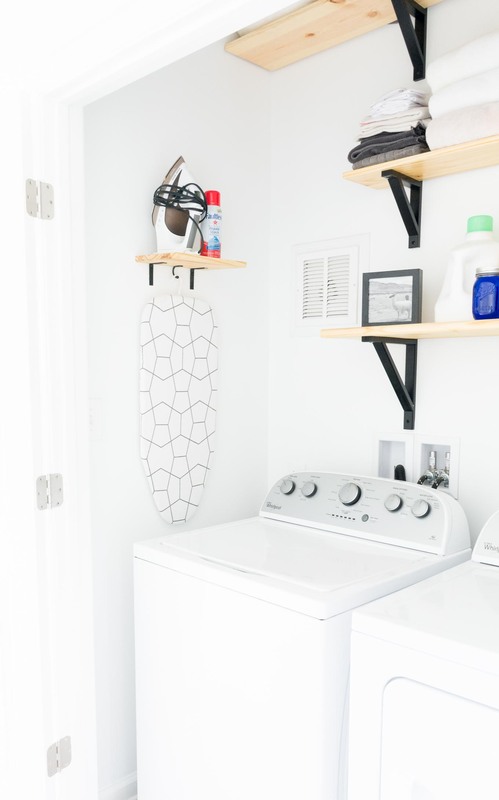 I love that you can actually set up the ironing board in the nook and use it! Such a great idea! 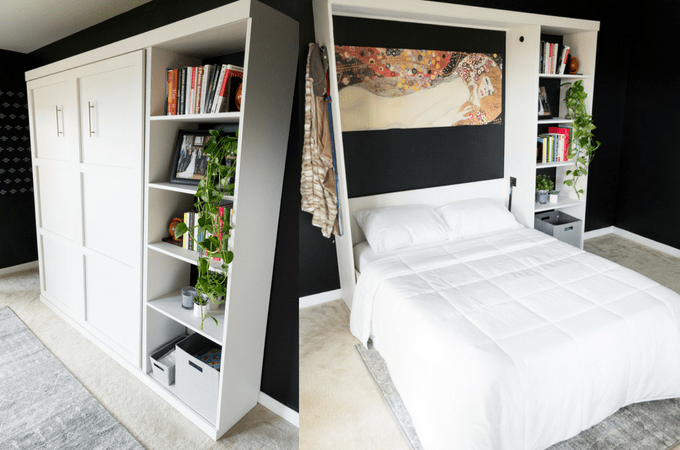 The entire space looks amazing, I need that extra storage up top. It looks so clean and streamlined! Love it! 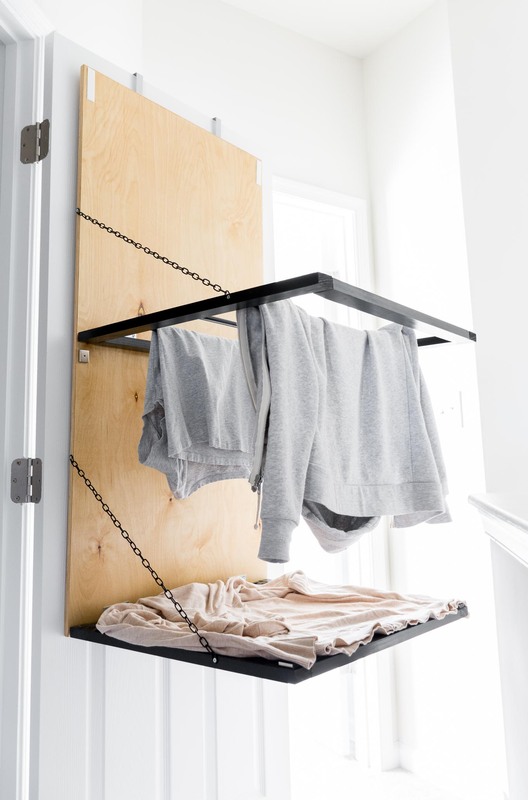 That sweater drying rack is genius! Wow!! I love how it all turned out! So organized and chic too! It’s so bright and cool now! 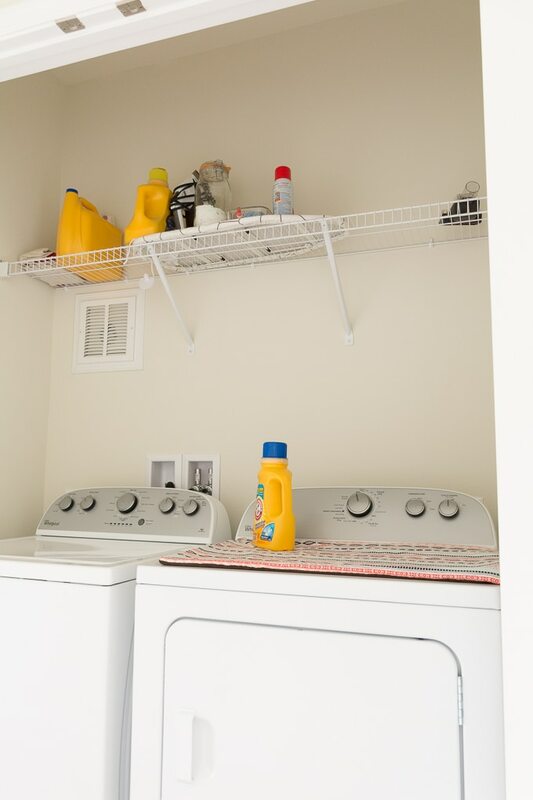 We have a weird little laundry nook in our downstairs bath that I think I may tackle for the next $100 room challenge – you’ve really inspired me. 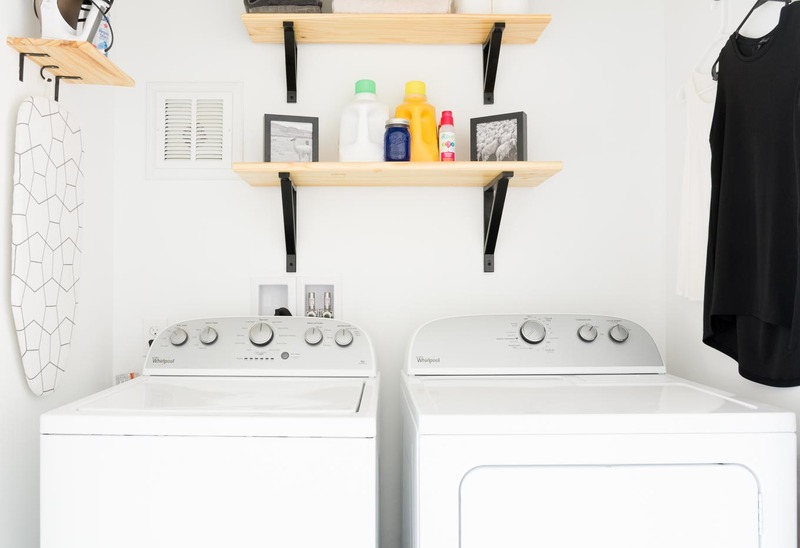 I would probably like doing laundry if my laundry room looked this good! I love the black & white. 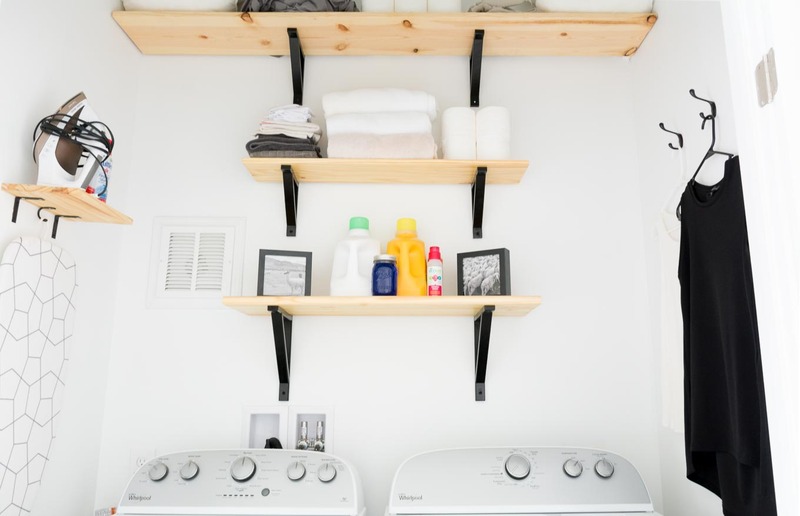 And those drying racks your made are genius! Woo hoo, maybe you’ll see me for round 3!! I LOVE it! How did I not comment on this already?! I know I’ve already been by to see it! lol. Anyway… you’re my feature this week. Obviously.